Wade Sprenkle is a farmer near Lamar, Missouri. This year, Wade has used our BigSweetYield, Yield Booster, and our BigBioYield on his soybeans. He has seen great results, with his soybeans having a lower rate of pod abortion and a higher rate of bloom retention. Watch the video to learn more. I’m Wade Sprenkle from Northwest of Lamar – about 15 miles. We grow corn and soybeans. This year I got connected with John and the BigYield team. I got to use some of their products and it’s been a great experience so far. I’ve really enjoyed getting to know his team. This year we got to use some BigSweetYield and Yield Booster. Last week we got to try some BigBioYield and give it a shot. The first application we put the BigSweetYield with the Yield Booster. We sprayed about half our acres of beans in the first week of August – in the R1 to R3 stage. We had great results with that. They were blooming and putting pods on. As I watched those beans – I was out there scouting every day, I haven’t missed a day in the bean field. I felt like we had immediate pop in those beans. Watching those beans on a daily basis, we have had an extremely low rate of pod abortion and we have been able to retain most of the blooms. Usually you lose a lot of your blooms. We have been able to hold on to those blooms, turn them into pods, and therefore had more beans. I think the yield increase is going to be substantial from what we have seen this year compared to years in the past. So we’re excited about harvest. I’ll also talk about the BigBioYield. Around us in southwest Missouri, we’ve had a lot of rain the last few weeks. It went to raining and we couldn’t get across the other half of our acres. 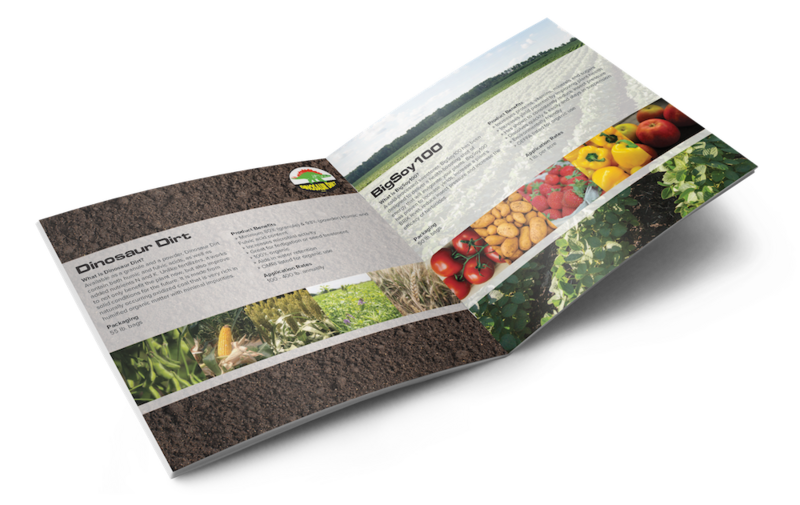 So we were a little worried about what to do – hold out for a ground application or go with an aerial application. We held out a little bit, and we got on some double crop beans that have looked poor all year. 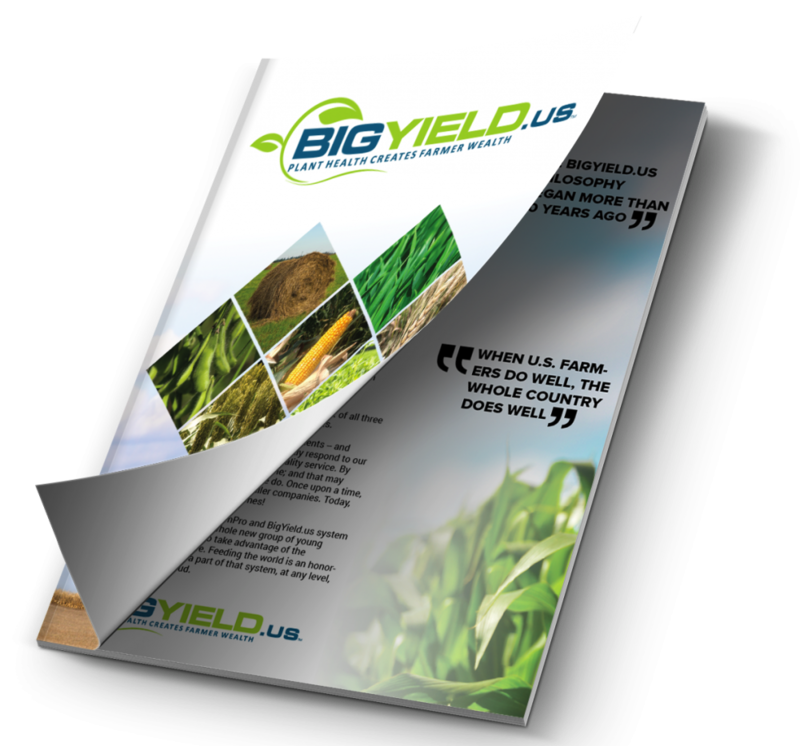 We put the BigSweetYield, the Yield Booster, and the BigBioYield on to try that BigBio out. We didn’t know if our beans were really worth all of that, but it was a good decision. That was about a week ago and those beans have exploded. We’ve had nice weather, good heat units and good water, but I’m very excited about those. They’re a mid-season group IV bean. I’d like to see the difference in just the biological vs. the BigSweetYield and the Yield Booster. We’ll see come harvest time, but we’re really excited. My dad and I both agree that these are the best foliar applications we have used in the history of our farm – just based off of pod retention and turning those blooms into pods. Usually you lose those. A lot of them anyways. Also, last week we sprayed some later – we had some 4.6’s that were almost topped out. I thought, let’s just run a trial run – we sprayed 130 acres that were almost topped out and on average we have four new pods per plant after that application of the BigSweetYield and the Yield Booster. We flew that on with our fungicide and our insecticide. On average four new pods. That impressed me a lot, knowing that those beans were almost finished but they went ahead and threw an average of four new pods per plant on. That definitely pays for the fertilizer, the application, and puts money in our pocket so we’re very pleased. We’ll definitely use the products again. I’ve come up here several times to get more product. At first – I’m more of a skeptical person anyways – so when John was telling me the ROI’s and stuff I was kinda nodding my head, like that sounds really good… but until I see it in the field I’m going to be a little skeptical. But these products have performed, and done beyond what I thought they would do. We will absolutely be back next year. I want to try some in-furrow products next year and see what else we can do.